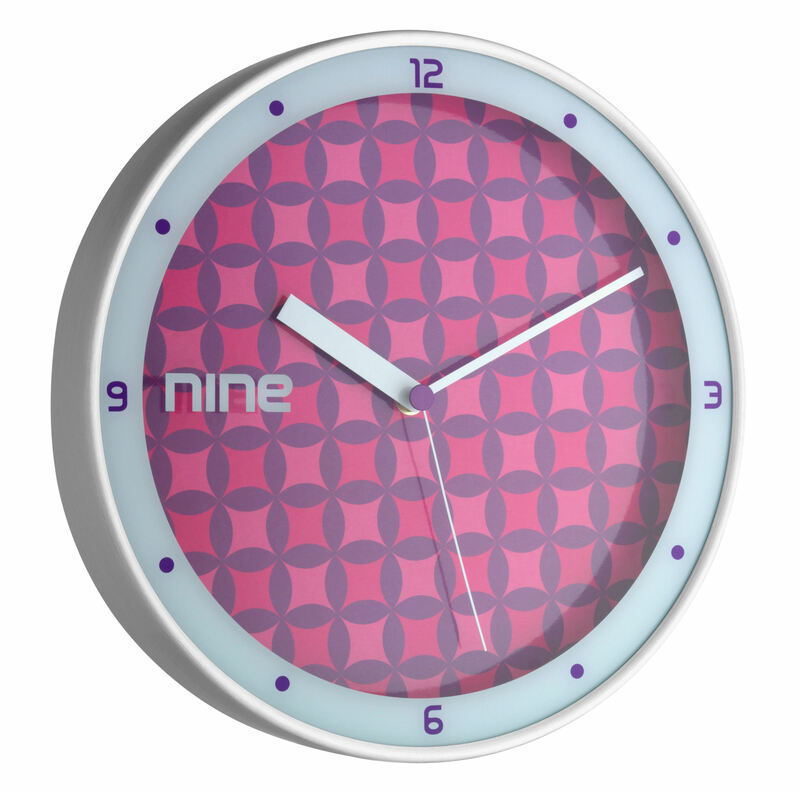 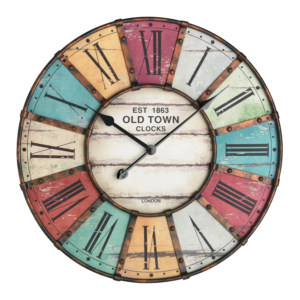 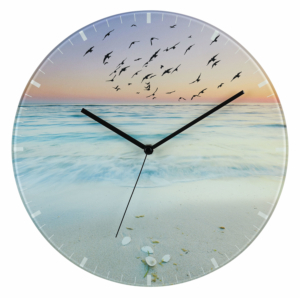 The cheerful pattern on the dial adorns every wall and sets a colourful accent. 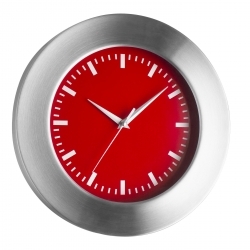 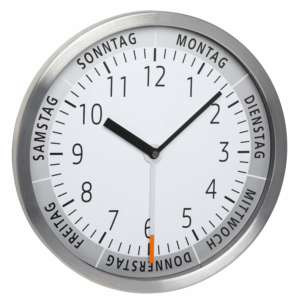 The hours are placed directly on the aluminium frame. 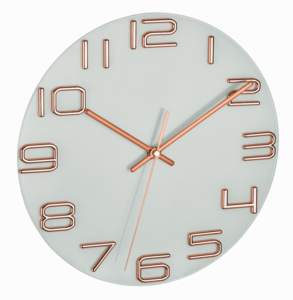 Thanks to the sweep movement, the second hand glides almost without a noise over the dial.